Downton Abbey is about to make a return to our screens (are you as excited as we are for this?) so we are taking a look back at the impeccable style of its glamorous ladies. 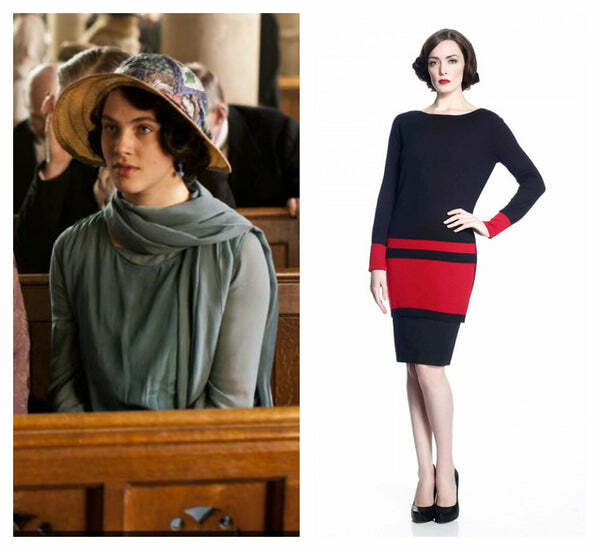 We here at Jia Collection are huge fans of Downton and, as we can’t wait for the show to return, we decided to reflect on the fabulous style of our favorite characters. 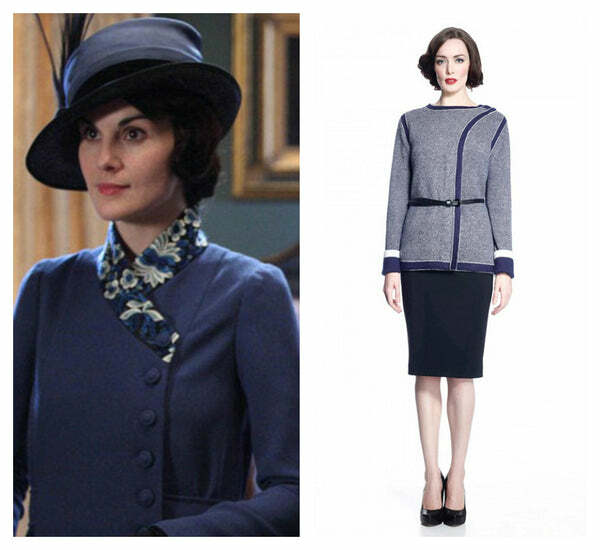 Lady Mary is the picture perfect image of British aristocratic glamour. Not only is she the oldest of the three Crawley girls, she is also the most responsible and. with her beauty and wit, has a unique ability to charm the pants off any man. She is also incredibly stylish, whether she is foxhunting, dining or taking to the dance floor of a ballroom. 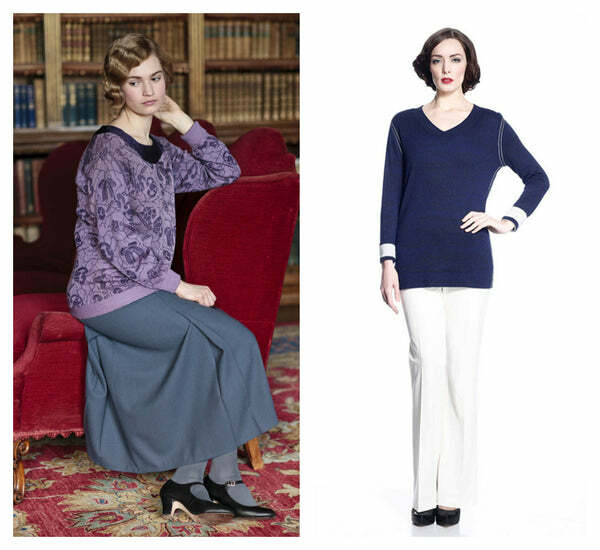 Our top picks for a Mary-lookalike from the Jia Collection has to be out Hedy reversible sweater or the Margaret reversible coat. Both of these items will add a touch of upper class poshness to any outfit. Lady Edith is the middle child and suffers pangs of jealousy about the constant attention her other sisters receive from potential suitors. She is shy and unsure, but she longs to find love just like both her sisters. Edith’s style is definitely the most conservative of all the girls. She likes to wear big dramatic collars or shawl hemlines and we could definitely see her wearing our Catherine convertible dress/cardigan. 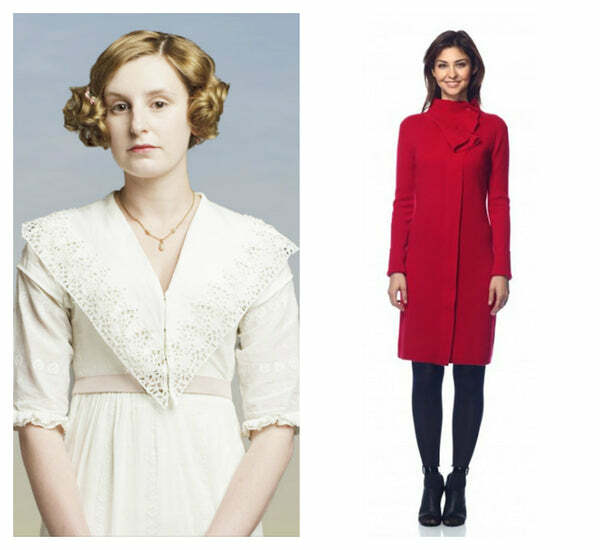 Like Lady Edith, it’s conservative but ladylike. Though we bid a very sad and teary goodbye to Sybil in season 3, we can still appreciate her style. Sybil was the most intellectually curious and opinionated sister; she was also politically active and didn’t really care too much about being a member of the aristocracy. The most down to earth and grounded of the three sisters, Sybil’s also pushed the boundaries with her fashion choices (remember those pants? Granny wasn’t too pleased. ), but her choice of color was always very neutral and muted. With it’s simple shape and colors, we can definitely see her wearing our Loretta reversible dress. Can’t you? Lady Rose is the newest addition to the Downton cast, and she may just be the feistiest, most adventurous and strong willed character yet! Though youthful and rebellious, Rose is still a lady and definitely likes a good a sweater. Rose’s outfits are very in keeping with the style of the 1920s. By day you will most likely find her wearing a loose sweater with a long pleated skirt and some great accessories (like a silk scarf). To emulate her look, the key item you need would definitely be a loosely fitting top like our Blanche reversible sweater. It’s ladylike, modern and oh-so perfect for Lady Rose.